I've been feeling under the weather, lately, as some of you know... I think it's affecting the quality of my drawings in a negative way. I mean, it might just be the fact that there are five characters in this one drawing (I just realised), but I get the feeling they all could've been so much better... Except for the ceiling lamp. So f*cking proud of the ceiling lamp. Oh well... 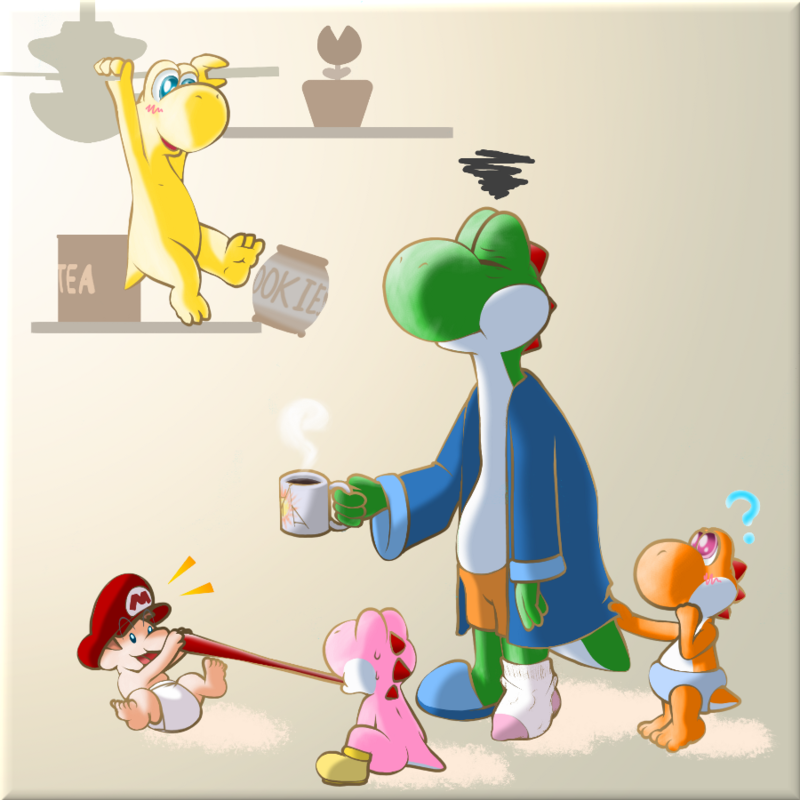 I hear you, Yoshi. I'm putting it there under the "finished" category, but there's a possibility I pick it up later and improve it. If not, then I'll probably remaster it in a couple years. Or someone else will. I dunno. Cheers for coffee! It gives me stomachaches, but at least I'm wide-awake when I barf.